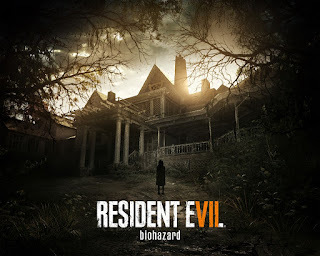 At the Sony Interactive Entertainment (SIE) E3 press conference, Capcom, a leading worldwide developer and publisher of video games, announced Resident Evil® 7 biohazard, the next major entry in the renowned Resident Evil® series. Resident Evil 7 sets a new course for the Resident Evil series as it leverages its roots and opens the door to a truly terrifying horror experience. A dramatic new shift for the series to first person view in a photorealistic style powered by Capcom’s new RE Engine,Resident Evil 7 delivers an unprecedented level of immersion that brings the thrilling horror up close and personal. Resident Evil 7 is scheduled for release on PlayStation®4 computer entertainment system (the full gameplay experience will also be available via the included PlayStation®VR Mode), Xbox One and Windows PC (Steam and Windows 10 Store) across North America and Europe on January 24, 2017. Resident Evil 7 embodies the series’ signature gameplay elements of exploration and tense atmosphere that first coined “survival horror” some twenty years ago; meanwhile, a complete refresh of gameplay systems simultaneously propels the survival horror experience to the next level. 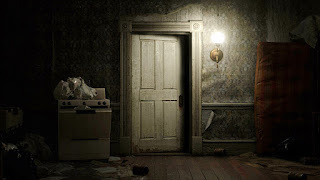 Terrifying fans at events across the globe last year, the PlayStation VR “KITCHEN” tech demo was developed utilizing the RE Engine’s VR oriented tools, and is the foundation on which the talented Resident Evil team has crafted the immersive horror experience inResident Evil 7. Powered by the RE Engine in tandem with industry leading audio and visual technologies, Resident Evil 7 is poised to deliver a disturbingly realistic experience that will define the next era in horror entertainment. PlayStation®Plus subscribers can now download the standalone teaser demo for PlayStation 4 called Resident Evil 7 Teaser: Beginning Hour and will have first access before it is available on other platforms at a later date. Players can get a taste of what they can expect from Resident Evil 7 with a sampling of the nail-biting exploration and terrifying atmosphere the game will offer when it releases early next year.